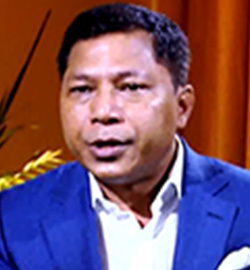 Mukul Sangma is the former CM of Meghalaya and has served the position from 2013 to Feb 2018. He lost in the Assembly polls 2018 to Conrad K Sangma of NPP. He is the 11th CM of the northeastern state and represents the Indian National Congress. During his political career, he has held ministerial positions in several portfolios such as Taxation, Home & Education and Fisheries. He has also served as a Chairman of the Meghalaya Transport Corporation, Parliamentary Secretary and Deputy Chief Minister of Meghalaya. Mukul Sangma was born in Ampati village to teacher parents. He completed his school education from Ampati's Government High School. He chose his career in medicine and graduated from Regional Institute of Medical Sciences (RIMS), Imphal, in 1990. In 1991, he took his first job at Zikzak Public Health Centre as a health officer. 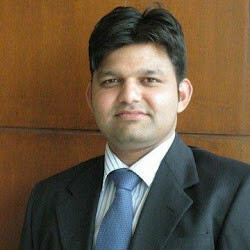 He is married to Dikkanchi D. Shira and is blessed with 4 children. He has a brother who is a Congress MLA. Sangma was already a well-known figure by the time he graduated in medicine in 1990. He held several positions in the Students Council governing body at RIMS and was beginning to blossom as a public leader. From his college days, he was emerging as a public figure, as he held a string of positions in the Students Council governing body at RIMS. In 1993, he contested for the Ampatigiri seat in Meghalaya legislative assembly elections and won the candidature. He was appointed as Meghalaya Transport Corporation's chairman. He also served as the Parliamentary Secretary between 1996 and 1998. He got re-elected to the same constituency in 1998, 2003 and 2008 as a Congress candidate. He was appointed as the home and education minister in the Meghalaya government, led by CM D. D. Lapang. He became deputy CM of the state in April 2005. In 2009, he again got reappointed as the Deputy CM under the Congress government, led by D. D. Lapang only. When the CM resigned, he took over the position in April 2010. He again got elected to the position on March 5, 2013.